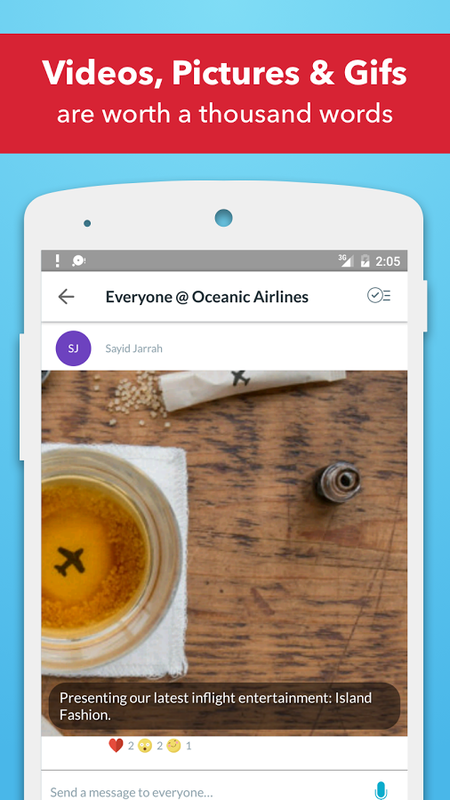 Crew is a free messaging tool you use at work. 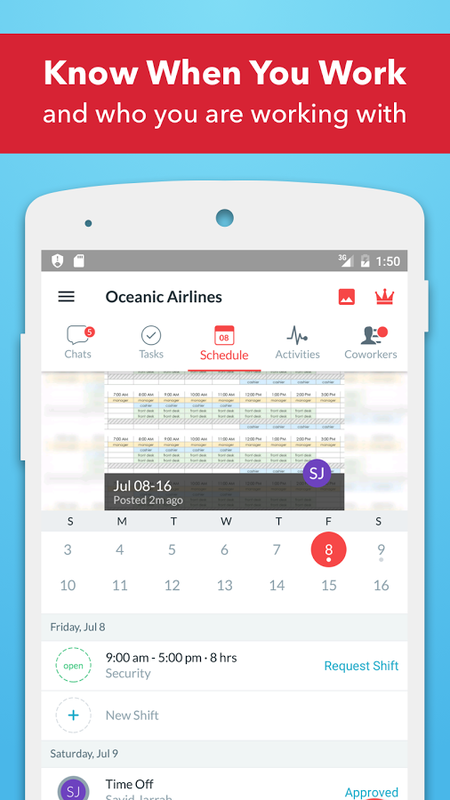 Crew helps managers and employees communicate by replacing text messages and email with one simple-to-use app. 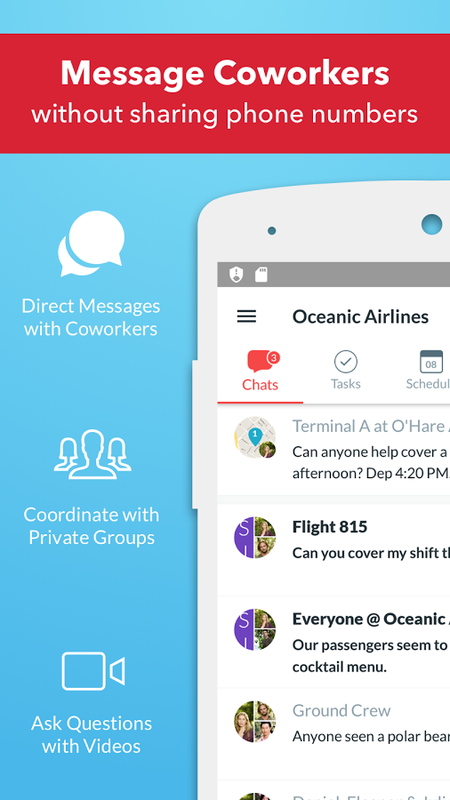 Use Crew to quickly and easily send instant messages to anyone you work with, without sharing your phone number or knowing theirs. You can swap shifts with co-workers, ask your manager a question, send group messages, share photos with your team and a whole lot more from the palm of your hand. 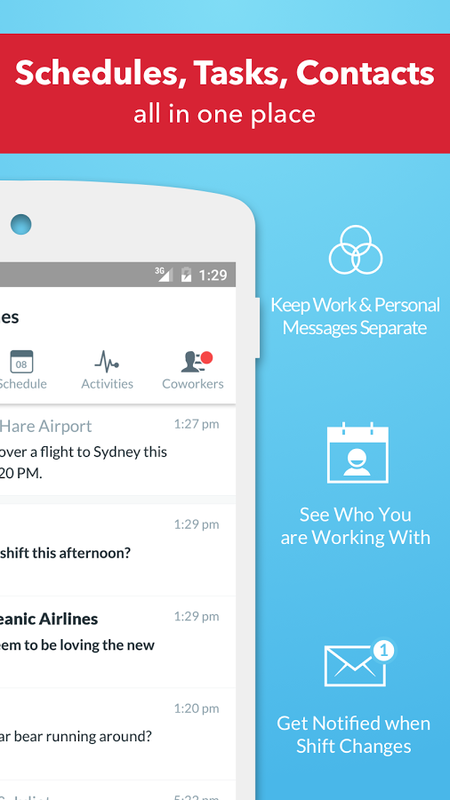 No more searching for people's phone numbers or worrying about them not checking their email. Crew helps you manage tasks across your team. Not sure what chores there are to do today? Just check Crew. Replace your team's chores process with Crew and you can easily assign tasks to co-workers from your phone and get notified when the tasks you asked someone to do are complete. Crew even lets you verify whether the tasks you've assigned have been seen and started.